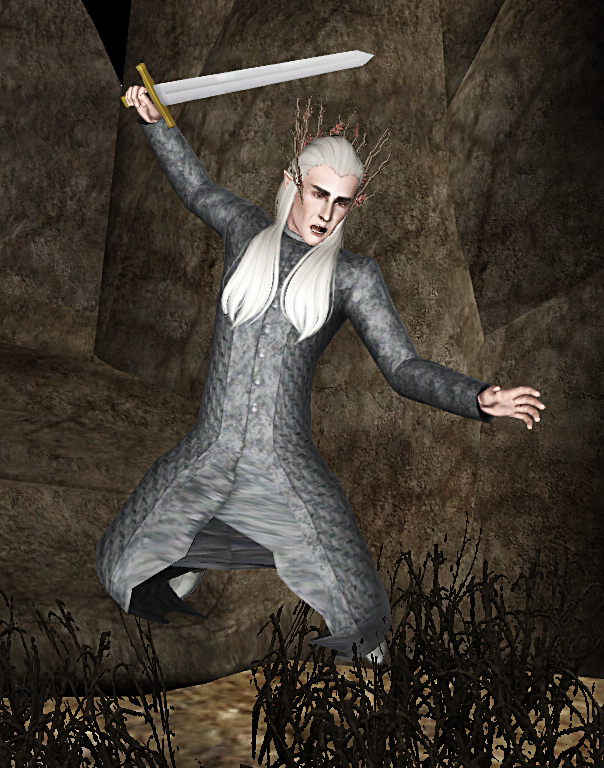 Thranduil is one of Tolkien's many characters from Middle Earth. 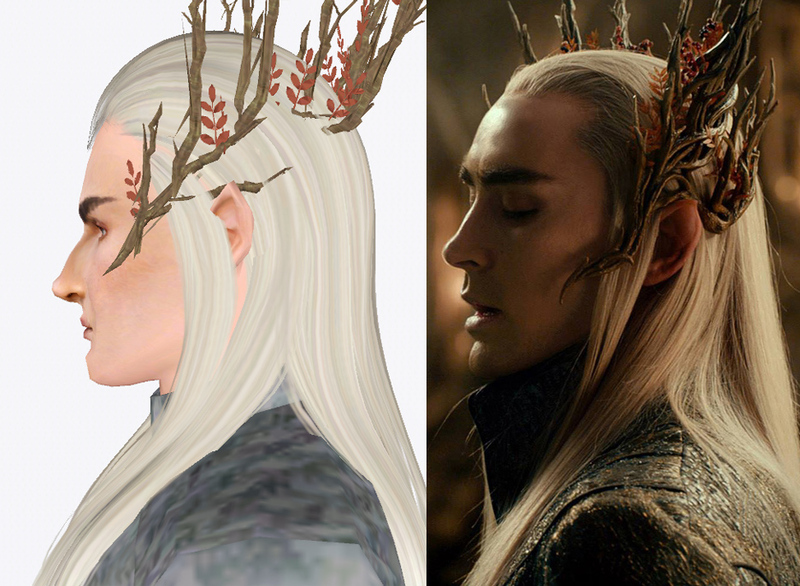 He appears in "the Hobbit" and is the elven king of Mirkwood, and Legolas' father. 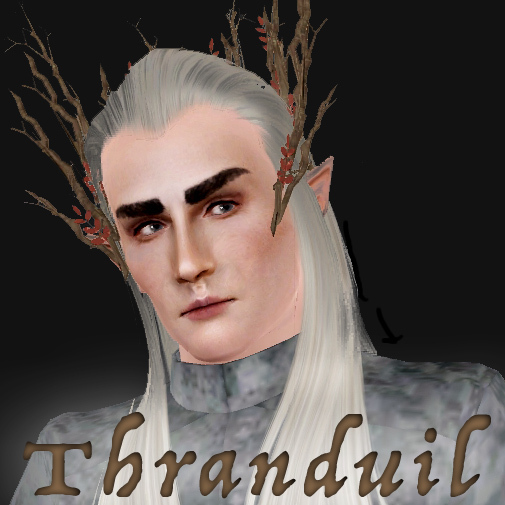 Thranduil is from Sindar origin (the Eldar blood line), but lives by and rule over the common wood elves (also called Silvan elves). 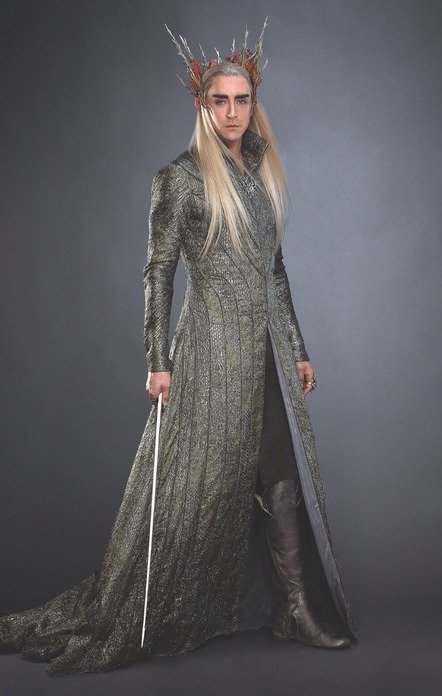 In Peter Jackson's movies, the elf king is adapted by the American actor Lee Pace. 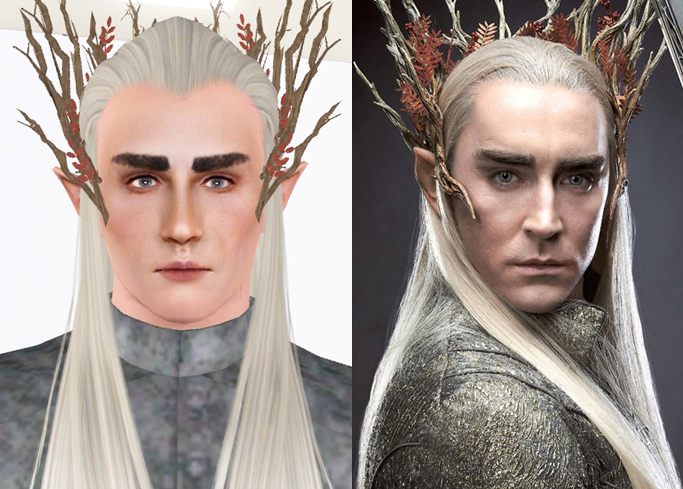 I'm afraid you can't simply change the sims hair to get the actors look, as I have mainly focused on the character's look (note eyebrows, eyes, hair line etc.). Recommended traits: Green Thumb (a must when you live in the middle of a great forest), Charismatic (this guy can make your legs shake just by just a simple look), No sense of humor (the elf king is not known for smiling a lot), Snob (even in battle his hair is irresistible), Brave (something you need to be when you live close to Dol Guldur. awesomemod and configtool recommended to make sliders 5 x multiplied. If you don't have these mods you can also not tweak the sim. Thanks to fairycake89, SimmyRN, k2m1too, Crowkeeper, tsyokawe, ameenah.n.y, Tigerdyhr, simsgal2227 and gaxili for help with feedback and good support throughout the project! 115 people have said thanks to malfoya for this download.